It's high time we had another giveaway around these parts. Just because. I know it's been fairly obvious that lately I've been losing my way with my blog a little, and I guess I'm running this as a little thank you for sticking around. I've collected together a few little things (I made the bag and the hair bows) and it's not much, but I'm sure I'll add to the pile by the time the winner is picked out. This reminds me of the good old days, when blogs ran things like this quite often, and didn't have to be sponsored by anything. 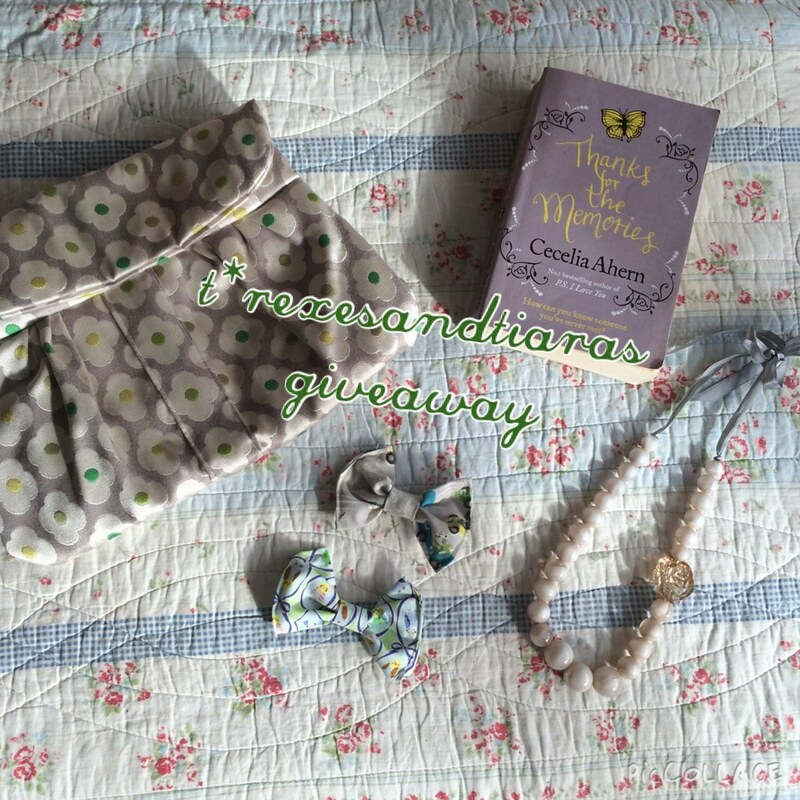 Open to all who follow the blog, and runs until next Tuesday (22nd Sept) when a winner will be chosen at random. I don't think you're losing your way with blogging, yours always is a highlight and I don't even go into blogger or Bloglovin to read yours, I just type 'd' and the link comes up! That said, a giveaway is always nice. I only said to Anca yesterday that I needed to do another one and shamefully, I did one last year and the forgot about it and never announced a winner. the prize bag is still sitting on my shelf!!!@x . Aw, thank you. I'm just feeling so sad with it all now. I think that a waning lack of body confidence isn't helping, as well as not being able to take proper photos anymore, which is making me sad.